Most suitable for use as an auxiliary tool for grinding small or tapered objects or the ends of rods and flat plates vertically up. 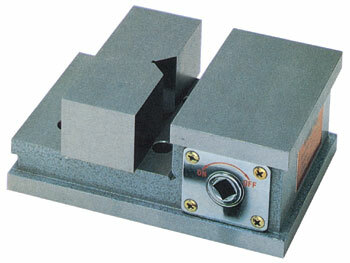 For machining applications where accuracy and holding of irregular jobs are required. V face of the movable jaw can be aligned to the work piece face.